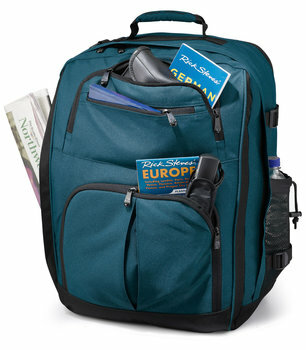 Outside: The classic, Rick Steves outer-pocket design gives it a clean, efficient look. 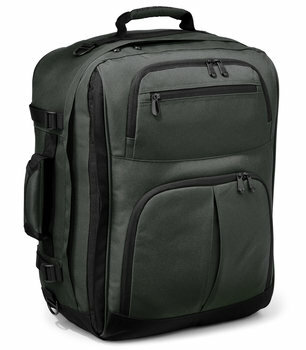 A full-length side zipper opens to reveal a 14" x 20" compartment (perfect for a jacket). 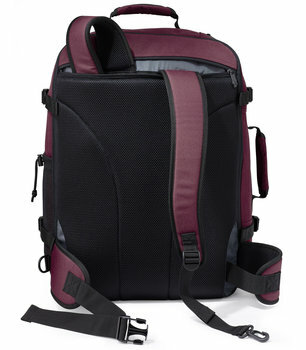 Three additional front pockets, a mesh water bottle pocket, external compression straps, two grab handles, padded shoulder straps and waist belt, and a breathable mesh lumbar panel complete the outside. 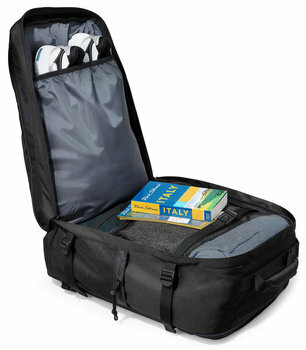 Inside: The generous main compartment includes adjustable compression straps, a clip-in document pouch with two mesh drawstring bags, and a full-width lid pocket. Convertibility: To use it as a suitcase (or check it as luggage), the shoulder straps and waist belt securely tuck away in the back. Handy D-rings give you the choice of adding our optional Over-the-Shoulder Strap. Expandability: Gain an extra 2 inches of cargo depth in a pinch (making it "fatter" than the carry-on limit, but perfect for checking). 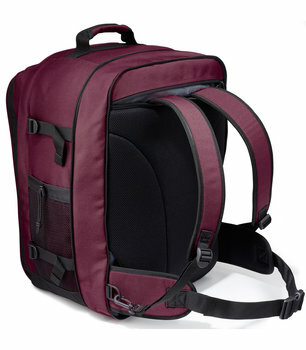 Your Choice: Our no-frills Classic Back Door Bag is also sized to be European-carrier friendly.